How it Happened: Wheeler and Smith claimed their third victory in the last seven West Division tournaments. Last year they also won the fourth stop on Lake Wawasee in an eerily similar fashion. This time it did not start off well, but practice and other reports convinced them staying shallow was the way to go. However, at 10:30, there was only one fish in the livewell. Fortunately, persistence paid back at that time. 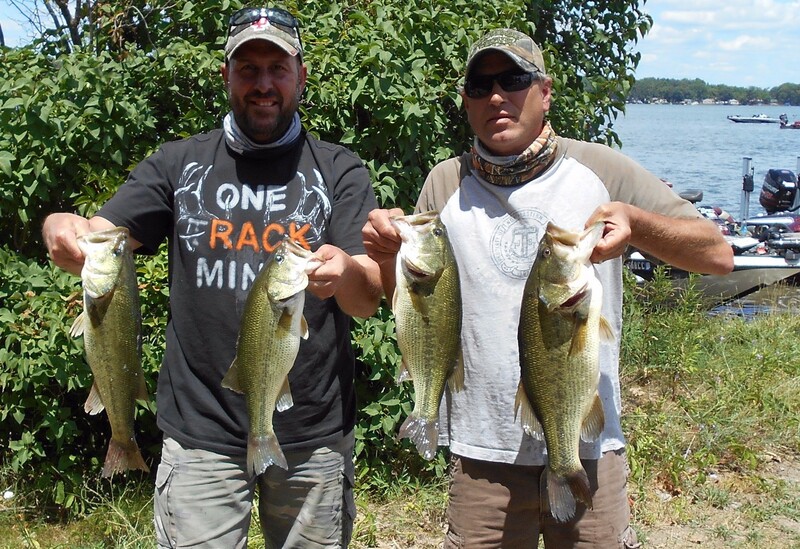 Between 10:30-12:00 they finished their limit, landed the sixth Heaviest Sack, and third Biggest Bass in R & B History. Docks, boats, and piers were their primary targets, but it was the ones being pounded by the wind during that time that produced. 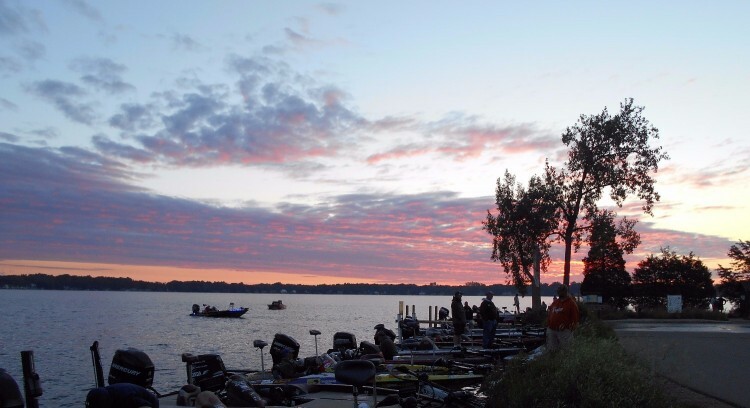 “We hit every dock on the lake, but the windy ones held most of our fish,” Wheeler confessed. 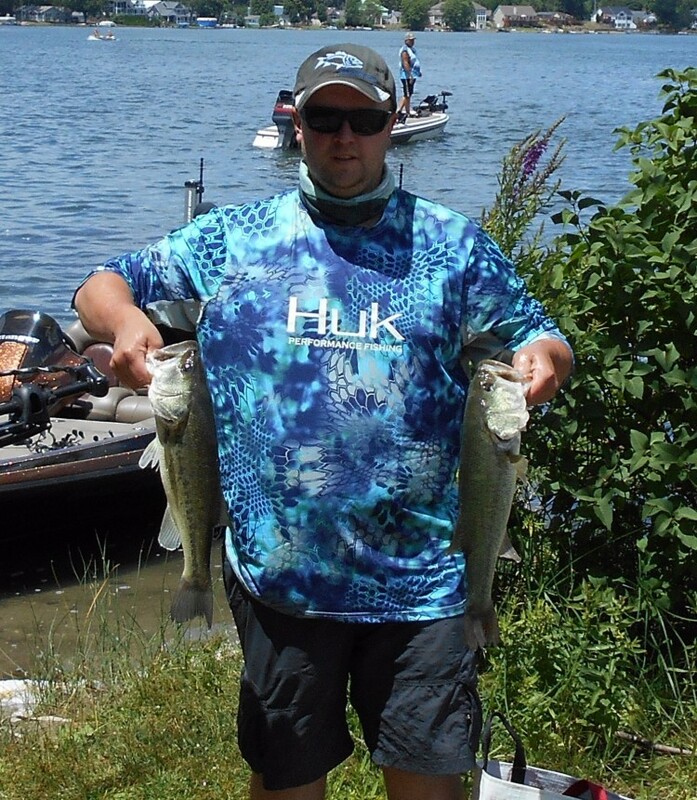 By slinging both jigs and wacky rigged soft stickbaits, they were able to boat 7 total keepers. Some fish were under docks, others under boat lifts, and others in the skinny water behind the docks. How it Happened: “We played Follow the Leader,” said Kelly. “We just used jigs around the docks going for reaction bites.” It worked. They had their limit by 8:00 and culled 9 times despite the constant pressure on the docks. Still, they did things the hard way. 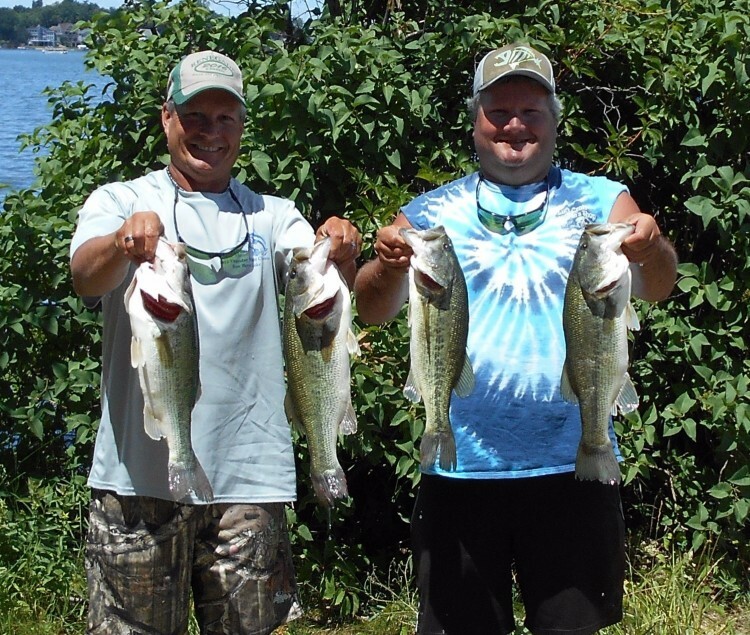 They were the only top 5 team not to target fish around docks, and with under an hour to go, they had just two keepers. 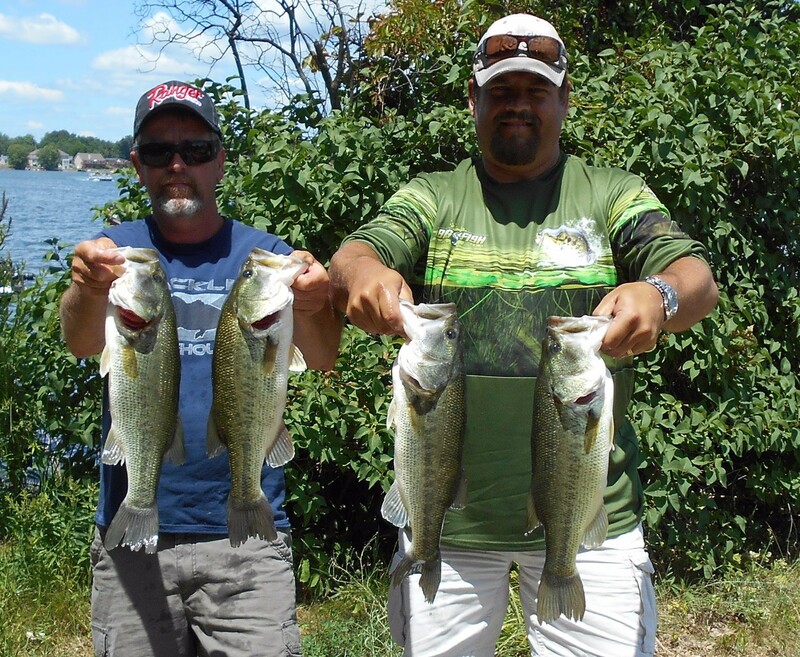 After boating their first fish on a Pop-R, they a long time before catching their second on a swimbait. This second keeper came from a specific spot with “really green” coontail and slightly deeper water. Stubbornly, they put their faith in this spot, and waited, and waited some more. 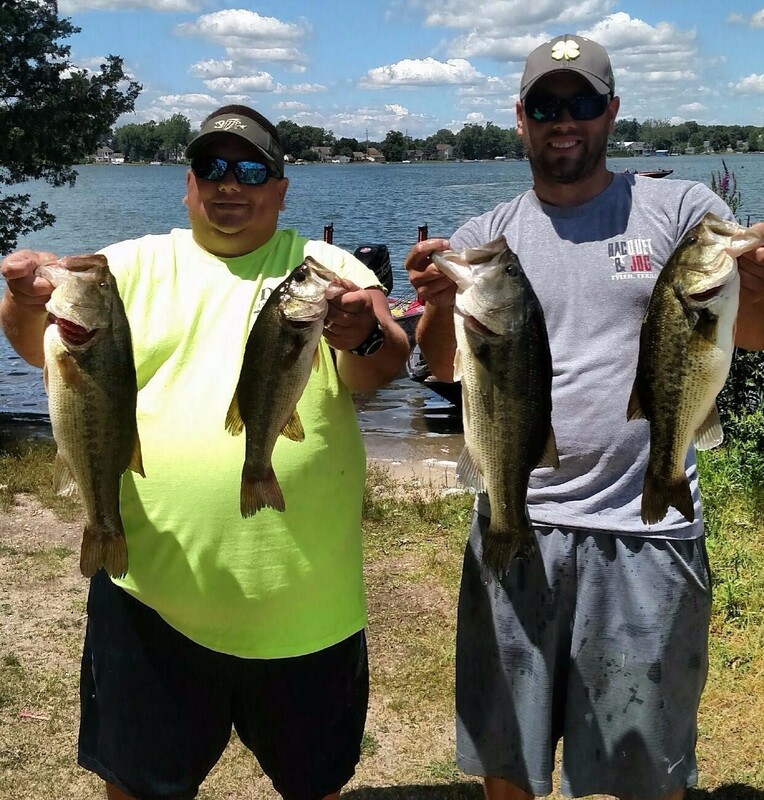 Finally, with less than an hour left, they caught their final 3, and biggest 3, fish on a tube jig to remain hot on the tails of Bradley and Fennell. How it Happened: With the trolling motor on high, the team covered lots of water and worked the finesse baits at each seawall. In all, they caught 9 keepers.